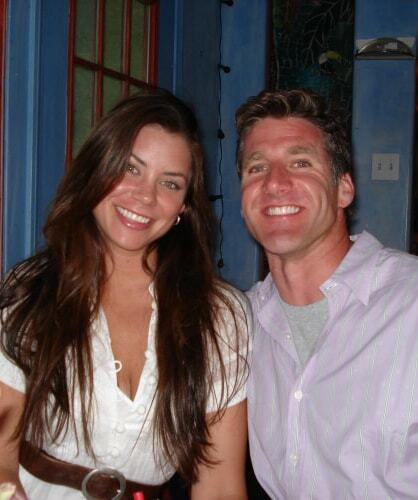 My wife, Brittany Maynard, died on November 1, 2014. At the beginning of that year we discovered a massive brain tumor. She endured an eight-hour brain surgery and we researched every available treatment option. Unfortunately the tumor was growing aggressively and there was no cure to save her life. She was given six months to live. The cancer had already demonstrated, and her physicians had also informed us, that her dying process would not be a gentle one. The suffering would likely include paralysis, blindness, seizures, and unremitting pain. After receiving this prognosis, Brittany’s battle against the brain tumor took on two important aspects. First, she decided that we would move from our home in California to Oregon so she could have the option of a gentle passing, utilizing Oregon’s Death with Dignity Act if it became necessary for her. As she continued to fight against the cancer with everything she had, Brittany was coming to terms with the reality that her life was ending. But she wanted to avoid the horrific manner in which the tumor would end her life if left to run its course. Second, she decided to lend her voice and story to a cause she hoped would make a difference for other terminally ill individuals. Once we were in Oregon, Brittany was able to live her life to the fullest. She focused on what truly mattered: her relationships, emotional connections with loved ones, and experiences outdoors in nature. Brittany died peacefully after enduring that ten-month battle against the brain tumor. But the impact she made on the topic of end of life options lives on as her legacy. I miss Brittany every day. I reflect on the life we had together and contrast that with how different my world is now without her. Over the past two years there were times I felt alone and isolated in my grief. At other times I felt the overwhelming support of my family and friends that helped me along. Always keep in mind that grief is not a disorder that an individual needs to be cured of. Mourning the loss of a loved one provides healing and, in time, a pathway to peace. In particular, I have formed a strong bond and sense of community with all of Brittany’s wonderful friends. We have become a support network for one another. Sharing a Brittany story or fond memory on a phone call or a quick text message has provided healing and helped build our collective resilience in the face of being without the individual we all loved immensely. Brittany meant so much to each of us. Grief is a process. Grief is a path an individual navigates at their own pace. But always keep in mind that grief is not a disorder that an individual needs to be cured of. Mourning the loss of a loved one provides healing and, in time, a pathway to peace. I focus on all the meaningful experiences I had with Brittany, and I choose to smile. Every human emotion is stirred up during the grieving process, and each one of those emotions can feel overwhelmingly intense. There have been times where I feel angry at the universe that Brittany is no longer with me. In those moments, frustration and sadness can seem to take over. But there are days where fond memories of Brittany fill my heart with gratitude, kindness, and compassion. Those memories produce happiness, even if they sometimes manifest as tears of joy. They also serve as a reminder that Brittany&apos;s story is about life and living, not death and dying. Brittany was looking out for me even as she was battling the horrible symptoms during her last few weeks. She provided me with a multitude of instructions before she died, preemptively trying to make my grieving process a little easier. Brittany&apos;s story is about life and living, not death and dying. “I want you to be happy, Dan. Do not live out the rest of your life just missing your wife,” Brittany instructed me. I am an ordinary man who married an extraordinary woman. She is the source of my resilience as I move forward in life. Dan Diaz continues to honor Brittany’s legacy by working on legislative efforts across the country and by sharing Brittany’s inspirational story of truly living life. Brittany’s story prompted legislators in twenty-five states to introduce bills to authorize medical aid-in-dying. Dan’s efforts were instrumental in securing the passage of the legislation in California, the promise he made to Brittany. For information on the advocacy work, visit the Brittany Fund. For speaking engagements, visit the Bright Sight Group.